Whether you crave juicy, grilled fruit or a creamy pie, these dessert recipes are sure to satisfy any sweet tooth. Make summertime entertaining even more perfect with these top-rated peach dessert recipes including pies, cobblers, and homemade ice cream. Go beyond burgers and grill fresh fruit to serve as a side dish, salad, or dessert. Grilling fresh fruit brings out even more of its natural sweetness and creates a mouthwatering dish. Chill out with frozen pie recipes that are perfect for dessert at your next cookout or barbecue. Give this iconic campfire dessert of graham crackers, chocolate, and roasted marshmallow an update by adding new ingredients like peanut butter, nuts, ice cream, or fresh fruit or transform the classic flavors into a pudding or cookie. Experience the pleasure of rich desserts without the guilt. Tart, tangy and utterly delicious, these desserts are the perfect finales for any meal. Top off a satisfying meal with a cobbler, crisp, pudding or pie featuring the season's best berries. Showcase fresh or frozen blueberries with these easy and quick desserts. Nothing says summertime like the whir of the ice cream freezer. Whether you're cranking it by hand or letting the motor do the work, the result is cool, creamy pleasure. 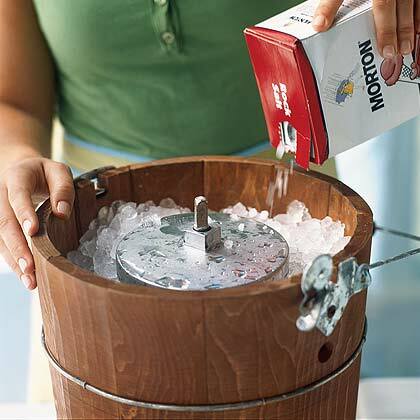 Enjoy summer the old-fashioned way–with chilly treats straight from the churn.